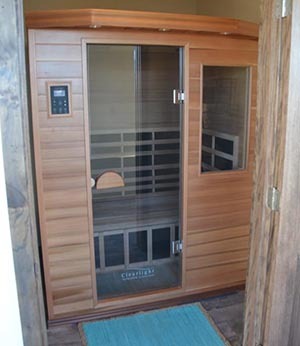 Infrared sauna produces the same infrared heat produced by the sun. Infrared heat is required for all living things for optimum health. Infrared sauna surrounds you and penetrates deeply into your joints, muscles and tissues increasing oxygen flow and circulation. As a result, there is an array of infrared sauna health benefits. 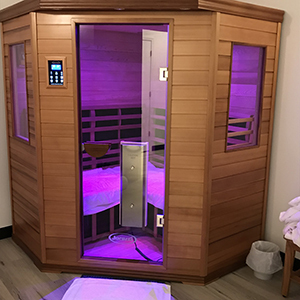 Infrared sauna helps to remove impurities from your cells, specifically the cells inside our fat where our body stores waste and harmful toxins such as cholesterol and heavy metals. When used properly infrared heat will help improve your overall wellness. According to the Journal of the American Medical Association, regular use of a sauna imparts a similar boost on the cardiovascular system to running. 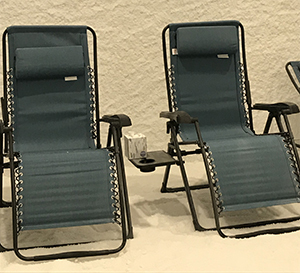 As you relax in the gentle infrared heat, your body is hard at work producing sweat, pumping blood and burning calories. As your body increases sweat production to cool itself, your heart works harder to pump blood at a greater rate to boost circulation. This increase in your metabolism will burn calories. Increased blood circulation carries off metabolic waste products and delivers oxygen-rich blood to oxygen-depleted muscle, so they recover faster. Muscles relax best when tissues are warm, for greater flexibility and range of motion. Far Infrared heat relieves muscle tension. The deep heat of far infrared saunas help peripheral blood vessels dilate, bringing relief and healing to muscle and soft tissue injuries. Infrared heat also reduces soreness on nerve endings and muscle spasms as muscle joints and fibers are heated. The deep heating from the infrared heaters will raise your core body temperature, inducing an artificial fever. How does this benefit the body? Fever is the body’s natural mechanism to strengthen and accelerate the immune response, as seen in the case of infection. This enhanced immune system, combined with improved elimination of toxins and wastes via intense sweating, increases your overall health and resistance to disease. One of the biggest infrared sauna health benefits is its ability to increase your blood circulation and stimulate the sweat glands, releasing built-up toxins in the body. Daily sauna sweating can help detoxify your body as it rids itself of accumulated highly toxic metals (lead, mercury, nickel, and cadmium) as well as alcohol, nicotine, sulfuric acid, and other organic and inorganic compounds. Cellulite refers to superficial pockets of trapped fat, which cause uneven dimpling or “orange peel” skin. It appears in 90% of post-adolescent women. Areas where cellulite is found are the buttocks, thighs, and the abdomen. Contrary to popular @belief, cellulite is not related to obesity, and the appearance of cellulite is not always reduced by weight loss. Since the far infrared radiant heat warms three times as deep as conventional saunas, it is significantly more effective at reducing cellulite. There is a direct link between the slowing of metabolic rates and the storage of toxins in fat cells. Sauna use and far infrared heat can increase heart rate and localized blood circulation, which essentially reverses the above-mentioned trends towards the accumulation of liquids in the fat cells to reduce the appearance of cellulite. The profuse sweating achieved after just a few minutes in a sauna carries off deeply embedded impurities and dead skin cells, leaving the skin glowing and immaculately clean. Increased circulation draws your skin’s own natural nutrients to the surface.